While there is an enormous body of literature on how children’s museums can be more effective in enhancing children and adults’ experience during their visit, there are fewer studies addressing the economic sustainability of such cultural institutions. The OED GA’s were tasked this semester to find viable solutions and best practices for children’s museums, we found information and strategies that can help these organizations achieve three distinct but interacting dimensions of sustainability: financial, intellectual, and social (Friedman, 2007). According to Friedman, financial problems are the most tangible threats to the survival of institutions, but intellectual and social weaknesses can be equally dangerous to children’s museums and can make a temporary financial problem fatal. Many of the children’s museums have to compromise intellectual and/or social sustainability when they try to increase their earned revenue dramatically, i.e. replacing exhibits with irrelevant yet popular programs or raising admission prices beyond the wealth of their population. One strategy for more financial sustainability is to recognize the activities/functions that create the largest and the least deficits or even generate net revenue in order to optimize the choices these non-profits have to make. Another potential strength for Children’s museum can be its website/social media presence. Websites can provide valuable planning information for family visits locally or regionally, usually with little cost to the museum. 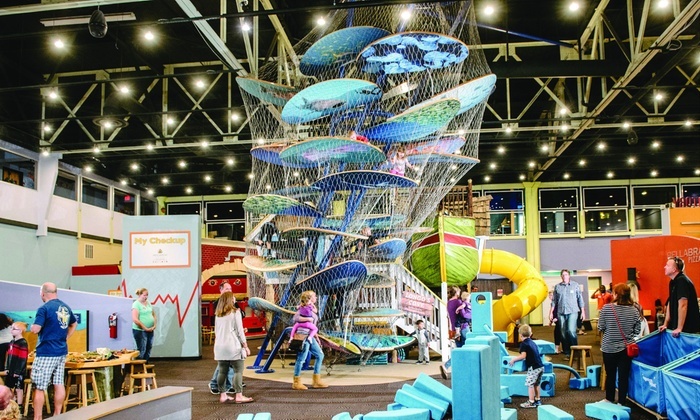 To encourage return visitors is to make the children’s museum as user-friendly as possible. This means appealing to both children and adults in terms of exhibits and facilities. Some museums have added snack kiosks at strategic points in the museum, cafeteria menus designed specifically to appeal to children, family washrooms, wheelchair and stroller rentals, and so on. To increase intellectual sustainability, children museums can partner with universities. Sciencenter and Cornell University are a successful example of such cooperation, where not only students and faculty can conduct research and provide service to community, but also children and their parents will benefit from academics’ experience and knowledge regarding childhood development, psychology and many other areas. Lastly, children’s museums can be safe places for rebuilding and reconciliation of confronting community groups to promote social sustainability. They are suitable for this role because of their long tradition of interpreting the many cultures of the community and for being welcoming to all.